“Don’t buy the rental company’s grossly overpriced collision damage waiver (CDW); instead, rely on the coverage you get for no extra cost through your credit card.” For decades, that’s been the mantra of most travel writers. It’s still the best overall approach for most travelers—but not for all, and not always. Yes, almost all American Express, Diners Club, and Visa cards still cover damage to a rental car, as do many MasterCard and Discover cards, but sometimes you either don’t want to—or can’t—rely on your credit card’s coverage. Most credit card collision coverage is secondary, meaning it pays only what you can’t first recover from other insurance, and you may not want to risk a big hit on your regular auto insurance for damage to a rental. Secondary coverage means you may have to pay the full amount of damage up front and claim reimbursement later. 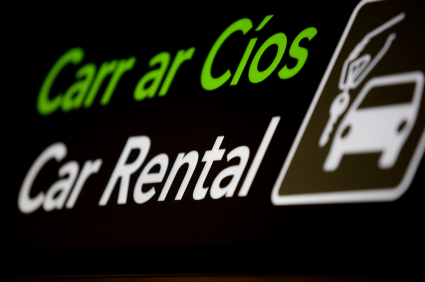 Most credit card coverage requires that you decline the rental company’s CDW, but base rates for rentals in some foreign countries include some CDW, which you cannot decline. That CDW has a high deductible, however, and some credit card issuers refuse to cover it because you didn’t decline it. Rental companies sell “Super CDW” to cover the deductible, but at very stiff prices. The basic problem here is that rental companies grossly overcharge for collision coverage. Typically, you pay at least $15 a day, and often up to $30 a day—sometimes even more than the base rental rate. It’s a huge profit center. A few weeks ago, I reported that collision coverage—primary coverage—is available from third-party agencies at a far lower cost than the amounts rental companies charge. In response, I heard about a driver who faced the foreign rental problem, and instead of buying Super CDW for more than $200 a week, bought a third-party policy from Protect Your Bubble for $7.99 per day. Sure enough, he put a scrape on the car. When he returned it, the agent added €621 to his bill—€580 for the repairs and a €41 “administrative charge.” When he got home, he downloaded a claims form, scanned all the relevant documents, and emailed it back to Protect Your Bubble. In about two weeks, he received a check covering the €580 repair charge in full but not the administration fee. His conclusion: Fair enough—Protect Your Bubble came through without any hassle and was a far better deal than the rental company’s Super CDW. The only irritation was that initial hit on his credit card; the claims process was painless. Some comprehensive travel insurance bundles include an add-on CDW option. CSA Travel Protection sells $35,000 of collision-only coverage for $9 a day through TripInsuranceStore.com. When you rent from a big online travel agency (OTA) such as Expedia or Priceline, these days the agency typically offers its own primary CDW option for around $10 per day. Auto Europe quotes rates with and without no-deductible CDW. In Italy, for example, the price difference is $48 per week for a compact car. Another independent company, Insure My Rental Car quotes zero-deductible coverage at $32 per week or $114 per year, but coverage is only $25,000, which may not be enough in a bad collision. That agency offers an alternative of an annual policy for a tad under $100 per year. U.K.-based Worldwide Insure offers an alternative for Super CDW in Europe for £15 (about $24) for a week or £38 annually to travelers age 25 to 84. The takeaway here is straightforward: If you can accept secondary coverage, and it covers you fully, your credit card remains the lowest-cost way to protect yourself against big damage claims. But if, for any reason, you want primary coverage or your credit card doesn’t offer complete coverage, third-party collision coverage can protect you against damage claims for far less than the rental-car company charges.